Have you ever thought of surviving without including an amazing visual to your work for better representation? The answer from many of you would be a big “No” to this. The reason is pretty simple- “The human love towards visuals”. Our designers, marketers even bloggers understand this love very well. That’s why they keep evolving their methodologies of incorporating visuals into their projects. But not every time they can create a custom graphic for themselves. Sometimes all they need is a little inspiration that they can utilize. And thanks to Google, they have plenty of resources for this. The idea is to get them there without surfing 100s of graphic resources that might not only will be irrelevant but also costs a good fortune of money. This blog is a one-stop list of the most promising free HQ image websites you will ever need to feed your content (and yourself). It will guide you in choosing sites according to your purpose. Go through this list and adorn your content with FREE beautiful pictures. Picjumbo is a great photo library which will help you find useful images for yourself. The popular categories in the website are business, food, women, abstract, nature and people. The site also goes for a premium collection which interestingly divides under three different categories– “I’m a Blogger”, “I’m a Designer”, and “We’re an Agency” which is an entry door to their premium collection. The site also provides geeky information such as focal length, ISO, aperture, shutter and width about the images you are going to download. Pexels is another awesome website to get HD images for your usage. I admire their collection of lifelike images and would also recommend you to take this site into your list of websites to find royalty free HQ photos. It has a long list of categories. These are the name of the popular ones- Social Media, Fitness, Beer, and House. Unsplash has a routine of adding 10 copyright free images in every ten days. It has a collection of high quality breathtaking images you can fall in love with in a moment. You can find cool pics about travel, nature, mountains, sea beaches and a lot of other stuffs. IM Free which is maintained by IM Creator has an astounding collection of premium photos that are available for free. You can see that its images are nothing less than the images which are found at paid websites. Look at this site for cool premium quality pictures and templates. As images in the collection come from various sources, check attribution before using images. MorgueFile is a great place for people who get baffled at the view of huge online image collections. MorgueFile has comparatively small collection than other websites in the list. But it owns a broad spectrum of categories which helps the viewer to find out stock photos according to their requirement and taste. The category offers image collection which range from antique images to wildlife images. FreeImages is a big repository of open source photos. So, what is so different about FreeImages from other websites? The answer lies in its diversity of images. You just not see images of landscapes or flowers. You see everything, every topic is covered on this site. Little Visuals is an unconventional site with a small yet powerful collection of images. You can avail for its photographs via signing up with your email address. Thus, you can receive 7 new high resolution images every week in the form of zip file. While you can find some common things in every website, New Old Stock stands out from the crowd with its inspiring collection of retro photos. The images are found from estate sales or other government resources. The images are free from copyright restrictions. You will always feel like giving a tour to this website. Picography is a very simple site with a scroll through gallery to have a view of all pictures in its collection. The images are clicked by professional photographers and the site offers great clicks to designers who are interested in expressive photography. Getrefe can seem very happening to you if you are a lover of landscapes and architectural photos. The website purely dedicated to self-explanatory beautiful pictures of great landscapes mostly located in Europe. Nature lovers, have a look at this website. When you search “free hq images”, you can see Pixabay on the top. Most of the images in Pixabay do not require attribution. So, get, set and download desirable high quality pictures from this website. The pictures in Gratisography are clicked by Ryan McGuire, a web designer and an artist. The big collection of images get refreshed with new photographs every week. The images look explosive and very expressive. You should give this incredible site a try for its hot collection of images having no copyright restrictions. Another site where you don’t need to provide credits to any photos which are being downloaded. Life Of Pix is loaded with new pictures every week. Jay Mantri, a designer by profession and traveller by choice, uploads seven of the most inspiring photos on every Thursday on his site. He uses creative commons license to upload his photos. The images are free and are complemented with different themes. The best place to find out high quality pictures about mouth watering food delicacies and any kind of food from all over the world. Visit FoodiesFeed and you will love the experience. A perfect place for food bloggers who need stock photos about food. Negative Space is another good place to find free photographs which are under CCo license (Creative Commons). The website looks cool and is filled with photographs related to different genre. The home to 2 million groups and 13 billion photos, Flickr is the best online platform used worldwide to store and share photos. Categories can be anything under the sun. The website was made with a vision to help people circulate their photos to their audience. Hence, you can sign up and download great photographs shared by professionals. Splitshire is a one-stop place for amazing high quality free stock photos that all are available for free to use. Created by one photographer Daniel Nanescu, the collection of photos vary from nature to desk arrangements. The site also has a premium option with even more images at the cost of $20 per year. Besides having a cool name, the site Kaboompics also has a very refreshing collection of images. The site has over 1000 free stock images for social media posts and your other business purpose. Hover over your favourite image and get it downloaded in one simple click. 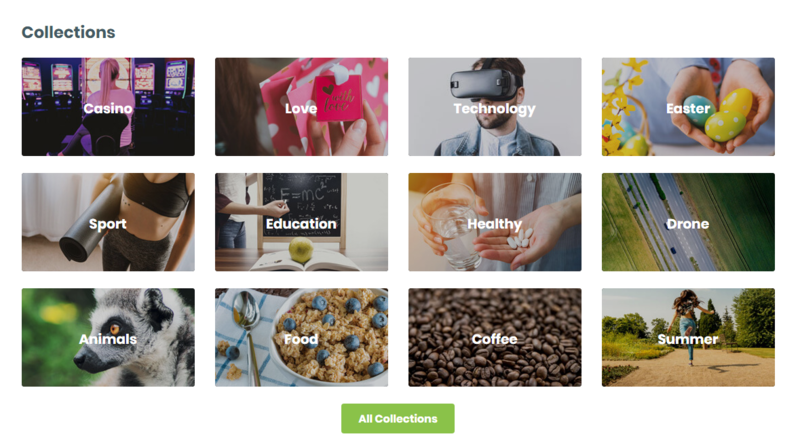 Created by Jan Vašek, Jeshoots is a collection of high quality stock images and premium mockups for designers.From education, business, landscapes to seasons and occasions, Jeshoots has a wide range of categories to serve you with amazing images that are available for free to use. A pool of amazing photos available for free to use at Stokpic. The site has built a little community as well. The site offers a premium subscription also where a subscriber geta 10 new photos in every 2 weeks that are not published on site. 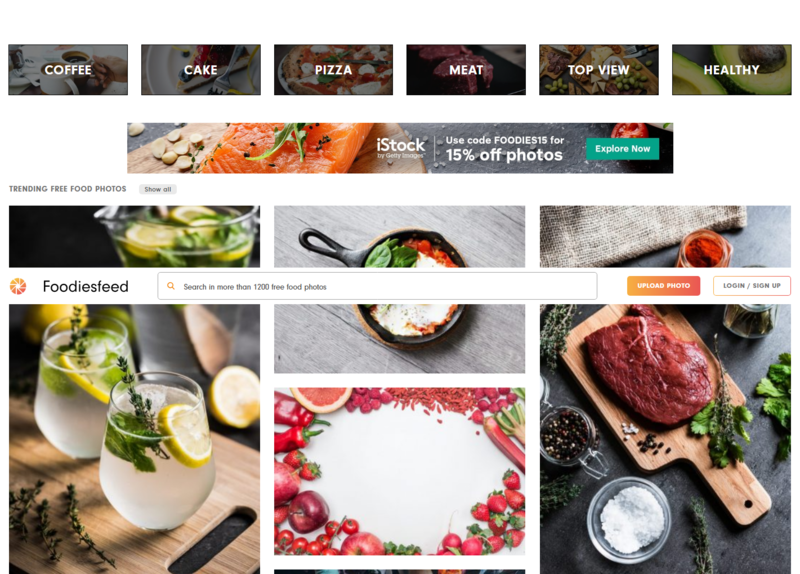 A site where you can find more than 100 thousand free stock photos. To download an image, you need to register at RGBStock by using either your email or any social media channel. Registered users can also upload their own stock photos. The site also offers a “lightbox” option where a user can save photos for future use. A great place of inspiration for designers. As the name specifies, Subtle Patterns is a collection of subtle patterns that can be freely used in any of your design projects. The best part about the site is that there is a preview option on each pattern that changes the background once you click on it. So you can see it in action straightaway. Users can upload their own patterns as well and there is also a photoshop plugin available but not for free. Here is a list of search engines which are totally dedicated to make searches in multiple websites and find you the most relevant results for Free HQ images. 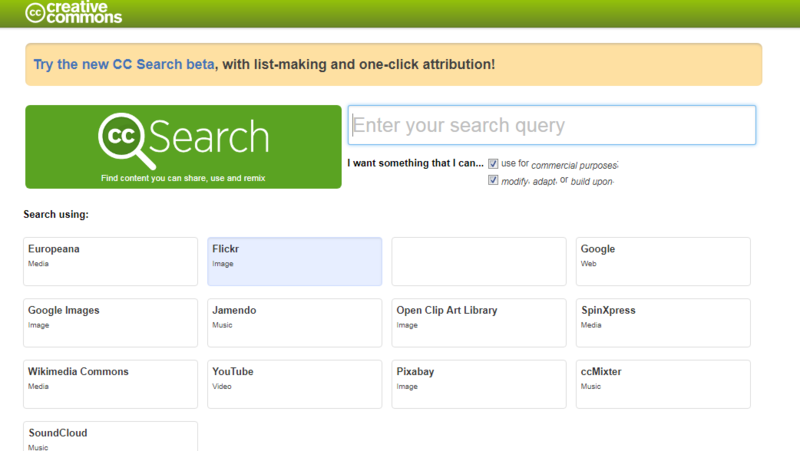 It is a Search engine powered by Creative Commons. You can find every photos which are under Creative Commons banner (license) via CC Search. I understand the fact that CC search is not a search engine (technically) but it do show results from various websites like Flickr, Google Images, Pixabay, Fotopedia and Europeans. The search is fast as CC search does not search every website simultaneously. You tell them what to search and where to search by selecting websites. You can also search videos, music and other media formats through it. Note:- Before you use images, make sure that you read about its usage rights. A handy service for those who want to download licensable content (creative commons) from Flickr in a simpler manner. Just visit Photo Pin, search with the keywords and download it without visiting advanced settings to choose Creative Common (as we do it in Flickr). The site looks like this. Font Squirrel is a big library updated with all the modern fonts, with new ones constantly added. The font identifier of the website is a great help for designers who want to include a particular font style in their work. But fonts on this site falls under different licenses. Some can be used anywhere, while some can only be used in graphics. There is one more interesting section on the site under the name “almost Free” where you can enjoy a range of premium fonts at amazing discounts. Font freak is one of the most visited sites for free fonts to download. Among 125,000 fonts available for commercial use, more than 9000 fonts are available for free. The fonts are the contribution of 400 different designers and arranged alphabetically for the ease of use. Fontspace is populated with almost 42,000 free fonts created by designers around the world. The best thing about this website is that all fonts are clearly labeled to make you understand whether they are for commercial use or personal use. If you’ve made your search for free fonts websites on Google before, you must be familiar with the name DaFont. Their collection of free fonts is made up with 40,000 font styles that ranges from modern and script ones to those with graphic symbols and drawings. You can find a font here for all your purposes. This is perhaps the most unique name in the list of royalty free websites for fonts. Here at FontStruct you will have access to a library of user-generated fonts at the drop of your hat. And what more? You can also create a font of your dreams here. Don’t let the name fool you. 1001Fonts has more than 10,000 fonts on its website. Type your own text and see how it looks like in different font formats. Most of the fonts available are for commercial use. Since it is Google Fonts, you can rest assure that you are getting quality and everything will be royalty free. You can simply paste the code to enable them on your webpage. It is versatile, easy to use and certainly the best font website on the Internet. Another great website to find free fonts. UrbanFonts shows you all the characters of the font along with a tool to test drive your text before downloading it. There is also an option to browse fonts according to different themes and you can create an account to save your favorite fonts for future use. One of the largest collection of professional fonts available on the Internet today. With a library of 130,000 free fonts available, you are sure to find what you need for any project. MyFonts displays different font style in the form of colorful thumbnails so that you can have an idea how exactly your design would look like. 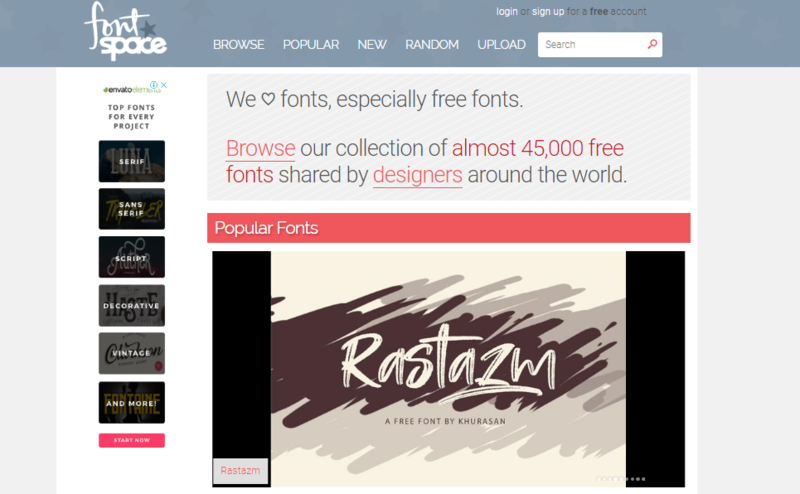 More than 50,000 free fonts are there to use at FontZone. Their interface is simple and straightforward. Just pick your font style, check it’s license and boom you’re done with it. Apart from these free font websites, there are also more ways to get your favorite fonts at no cost. Market places like Creative Market and Envato Elements give their free goodies at the month end to its registered users. You never know when a premium font fall into your inbox to use freely. Created by Katerina Limpitsouni, Undraw is a huge library of customizable MIT licensed illustrations. Just browse the site to find a suitable image and click to download. The site also offers an option to change the color of your image so that you can see what fits the best to your brand identity. Here you can download vector images in SVG format, so no worries about scalability. Freepik is our personal favorite when it comes to choosing a collection of stock graphics for any project we are working on. The site offers an amazing gathering of vectors, icons, PSDs etc. The site offer both the options free and premium. But you need to give attribution to the author of graphics when you with the free option. Stockio holds your back when it comes to high quality editable graphics. It is a one stop place for all your graphical needs from royalty free photos, vectors, icons to videos and fonts that too at no cost. IconFinder is one of world’s most popular site to download high-quality icons for your site. Here you will find an icon for every category. The site offers both Free and Premium options to download your favorite icons. You can even choose a style for your icons such as 3D, Hand-drawn, outline, filled outline and more. Flaticon is your best bet where you can access over a million vector icons. It’s range of icons is grouped into different packs and has different style patterns from gradient to yellow shadow. You can also create your own pattern using their amazing icons and download it for use. This is comparatively a new site but worth a mention in this list. The site is a big collection of decorative vectors, infographics and icons. But to use their graphics for free, you need to give attribution back to Vexels. As you see, there are lot of doors which have opened for you so that you can enjoy and download great photography. Feel free to comment below if the list has benefited you or if I have missed some good ones in the squad. So what are you waiting for? Dive into the deep sea of awe-inspiring photographs to soothe your eyeballs!